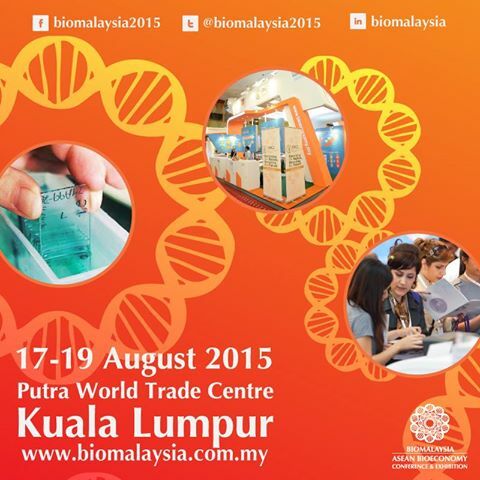 Putrajaya, 07 July 2015 – Ministry of Science, Technology and Innovation (MOSTI) and Malaysian Biotechnology Corporation (BiotechCorp) announced today that the BioMalaysia & ASEAN Bioeconomy Conference & Exhibition event will be held on the 17 – 19 August 2015, and will take place at the newly revamped Putra World Trade Centre (PWTC), Kuala Lumpur. 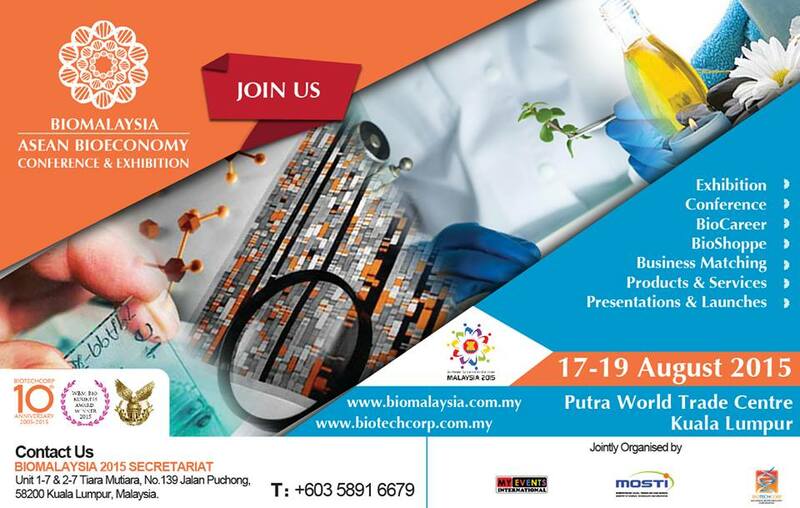 In conjunction with Malaysia‘s Chairmanship of ASEAN 2015, MOSTI and BiotechCorp collaborates once again for another convergence of ASEAN & regional biotechnology participants in BioMalaysia 2015. Dato‘ Ewon Ebin, Minister of Science, Technology & Innovation said: ―This year we will see some exciting changes to the elements of Biomalaysia 2015. 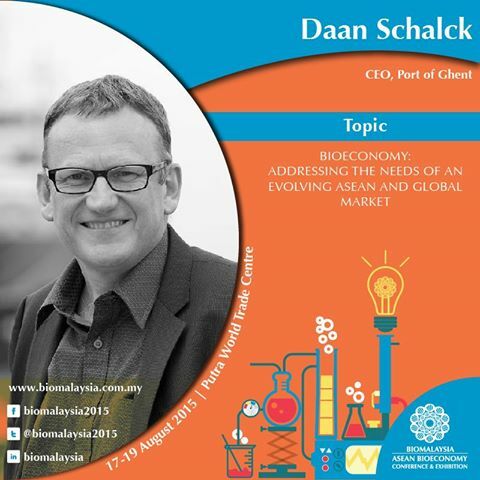 One significant change is the inclusion of ASEAN Bioeconomy, which will set to encourage the growth of bio-based industries and deliver economic benefits to the region. 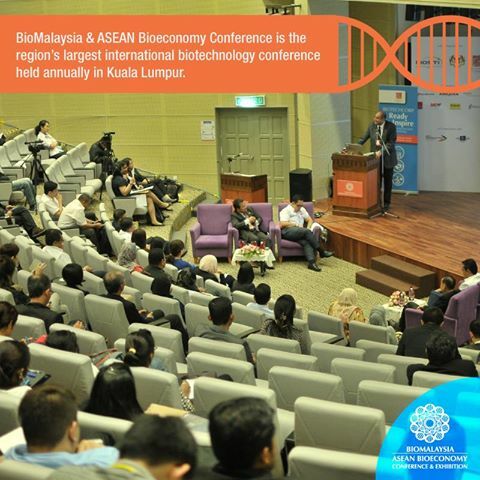 BioMalaysia & ASEAN Bioeconomy has established itself as one of the key meeting points for industry professionals in the region. 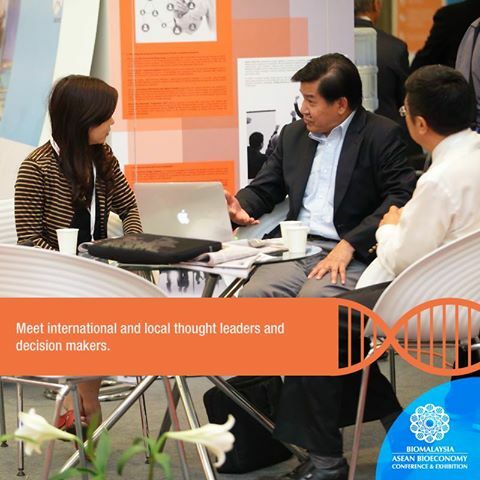 Over the years, the event continues to increase its value as a platform for the birth of fresh ideas, practical solutions and effective collaborations for global and Malaysian biotechnology industry participants. This event will be special for BiotechCorp as they celebrate its 10th year anniversary, while concurrently Malaysia is also chairing for ASEAN in 2015. Thus, it is fitting that this year‘s BioMalaysia conference and exhibition is focusing on bioeconomy in the ASEAN region. 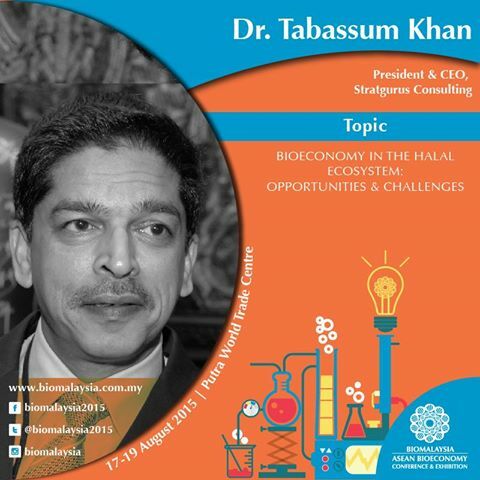 Bio- based technology can be a game changer to tackle ASEAN‘s economic challenges and the BioMalaysia event is set to offer Malaysia as the gateway for innovation and growth within the bio-based sphere in the ASEAN region;‖said Dato‘ Dr. Mohd Nazlee Kamal, Chief Executive Officer of BiotechCorp. Themed “ASEAN Bioeconomy : Biodiversity to Wellness”, this year‘s BioMalaysia & ASEAN Bioeconomy event will be officiated by the Deputy Prime Minister of Malaysia, YAB Tan Sri Muhyiddin Yassin. The 3-day event will be expecting more than 10,000 trade visitors, 250 exhibitors including international pavilion from Gulf Cooperation Council (GCC) comprising of multi-national Corporations (MNCs), government bodies and agencies. GCC is a political and economic alliance of six Middle Eastern countries—Saudi Arabia, Kuwait, the United Arab Emirates, Qatar, Bahrain, and Oman. With strong participation of Small and Medium Enterprises (SMEs) throughout the 10 ASEAN countries namely Malaysia, Brunei Darussalam, Cambodia, Indonesia, Lao PDR, Myanmar, Singapore, Thailand, Vietnam and The Philippines, exhibitors will showcase their best and most innovative products & services, offering huge business opportunities that have vast economic potential for the region. Speakers from various successful international companies will be there to share their success stories, tips and knowledge through various conferences. BioMalaysia & ASEAN Bioeconomy 2015 is set to encourage partnerships with global players and to spur innovation and growth in the bio-based sector, with the aim to position Malaysia as a Bioeconomy powerhouse in the foreseeable future. The focus this year is also on wellness and healthcare – the different phases of looking after the wellbeing of the ̳rakyat‘. About BiotechCorpBiotechCorp is the lead development agency under the purview of Ministry of Science, Technology and Innovation (MOSTI), acts as a central contact point providing support, facilitation and advisory services for biotech and life sciences companies in Malaysia. 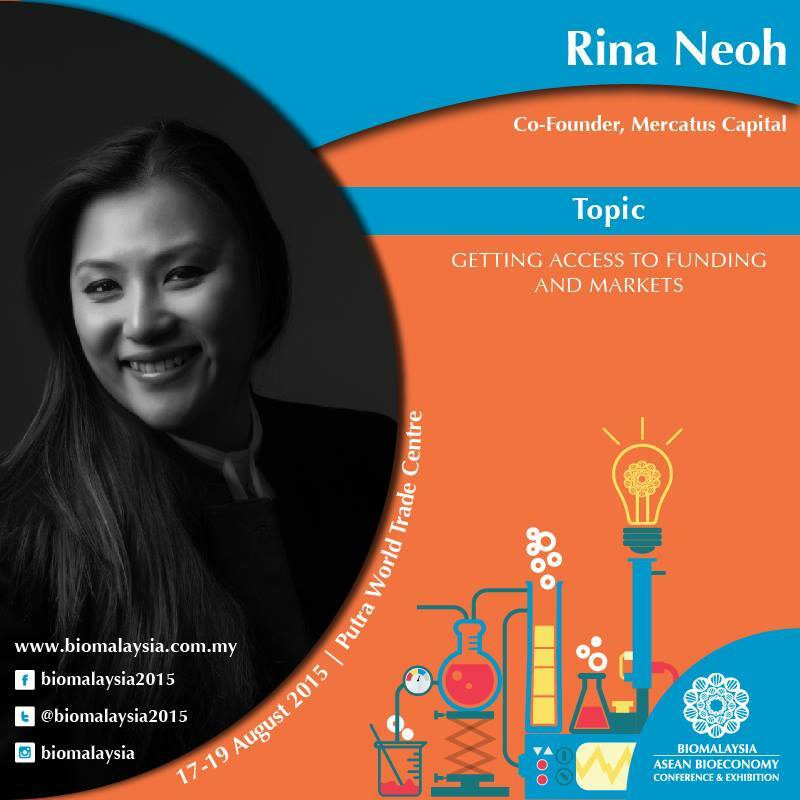 BioNexus Status companies are international and Malaysian biotech companies that qualify for fiscal incentives, grants and guarantees administered by BiotechCorp. For further details, visit www.biotechcorp.com.my. Bioeconomy Transformation Programme (BTP) is a platform provided by the Malaysian government for the private sector to channel and maximise commercial opportunities in bio-based industries. The BTP is designed as a Transformation Programme based on biotechnology‘s potential to cut across various industries and transform Malaysia into a high income, inclusive and sustainable nation. Through the BTP, Bioeconomy will benefit the society and nation through breakthroughs in agricultural productivity, discoveries in healthcare and the adoption of sustainable industrial processes, having the effect of both enriching our society and nation through wealth creation besides securing our future. 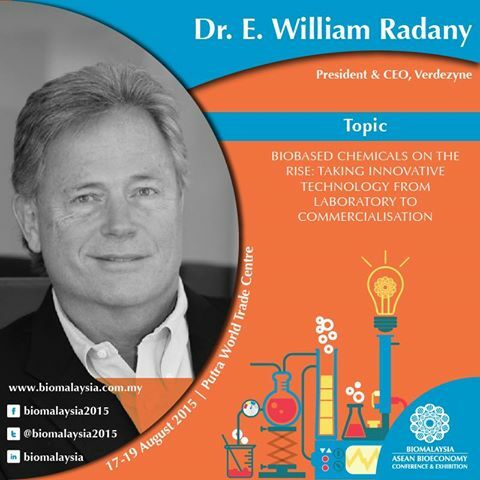 For further information, visit www.bioeconomy.my.